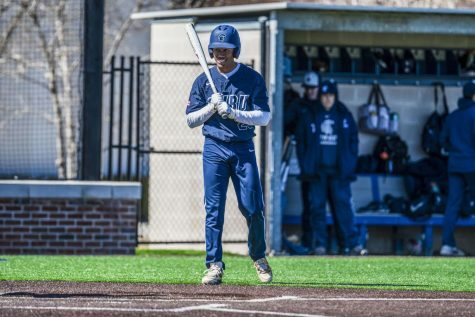 On a chilly day at Progressive Field, the Spartans used a late offensive surge and strong starting pitching to defeat the John Carroll University (JCU) Blue Streaks 6-1 on Tuesday in their season finale. 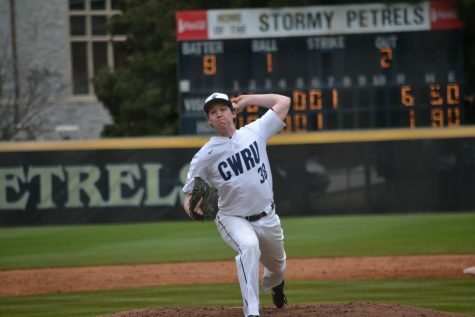 Though it was Senior Day for Case Western Reserve University, third-year starter Jake Shields stole the show, throwing a complete game and striking out five while only allowing six hits. The red-hot Spartans finished the season with a 26-13 record, winning 18 of their final 22 games. 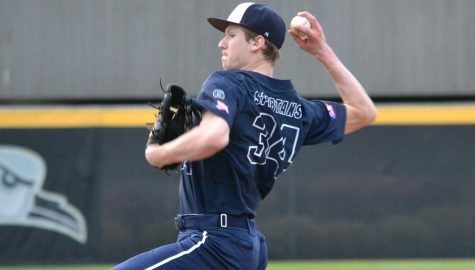 The lone blemish for Shields came in the fifth inning when a double and a triple by the Blue Streaks broke a scoreless tie. However, he quickly recovered and retired the next eight hitters. 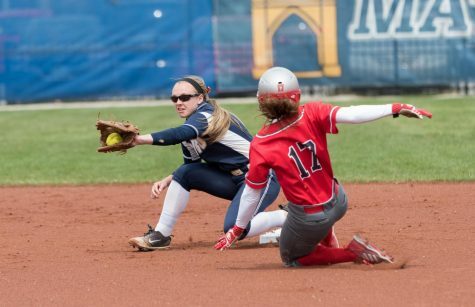 The Spartans responded in the sixth with two runs of their own on a strange play. After first-year shortstop Rocco Maue doubled to lead off the inning, second-year designated hitter Daniel Watson singled. The throw from the outfield came home, so Watson attempted to take second. He was safe as the ball from the Blue Streaks’ catcher went into center field, and Maue scored. Watson came all the way around and scored as well as JCU had trouble getting the ball back to the infield. Both unearned runs were charged against JCU’s reliever Nathaniel Wenson, who came on in the fourth after starter Drew Vargo limited the Spartans to three hits in three innings. Vargo got out of a jam in the second when the Spartans loaded the bases with no outs after a walk, a single and a bunt single. But CWRU could not score as Vargo induced a lineout, a strikeout and a groundout to end the threat. The Spartans scored two in the seventh. The bases were loaded for Watson, who hit an infield single to drive in second-year second baseman Alex Capetillo. Then with first-year first baseman Mike Najmowicz batting, Blue Streaks reliever Mark Pisanello uncorked a wild pitch, allowing third-year center fielder Aaron Cain to score. In the eighth, CWRU added two more insurance runs with small ball. 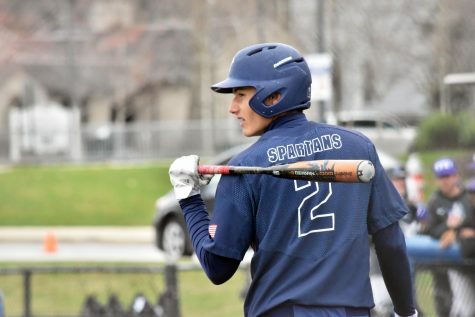 Third-year right fielder Tony Damiano beat out an infield single, stole second, advanced to third on a balk and scored when third-year catcher Eric Eldred laid down a perfect squeeze bunt. A two-out rally started when Capitello singled. Cain followed with a single, and third-year left fielder Josh Neal hit a single to score Capitello. All nine Spartan starters got on base at least once during the game as the team accumulated 14 hits. Both Watson and Damiano got on three times, leading the team as both went 2-for-3 with a walk. CWRU honored six seniors before the game with a special ceremony where each senior’s parents threw a ceremonial first pitch to their child. Pitchers Eddie Abramson, Neal Krentz, Connor Tagg and Lee Penzarella, and first baseman Zack Tobias were all honored for their contributions to a program that set a team wins record in 2014 and advanced to Regionals twice. 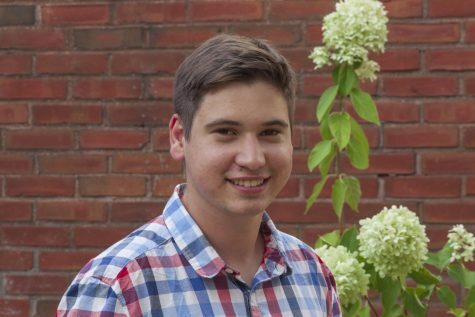 Utility player and graduate student Tyler Schovanec was also honored.